And now for 18/19, 4FRNT is expanding the MSP line to two skis — the MSP 99 (which is the same ski as the 17/18 MSP) and the wider, all-new MSP 107. We spent time on both skis this past season, and today we’re taking a closer look at the MSP 99 to see where it fits into the increasingly-diverse category of ~100mm all-mountain skis. 4FRNT is labeling the MSP 99 as a frontside ski. And while its waist width and rocker profile seem like they should make it perform pretty well in that arena, the MSP 99 definitely looks like it falls more in line with the many ~100mm all-mountain skis currently on the market. I.e., this doesn’t look like a ski that you should only bring out for ripping corduroy. They’re also talking about how smooth and damp the MSP 99 is. But this ski is a bit lighter than some of our favorite all-mountain chargers, so the question is “How stable?” And this talk about the MSP 99’s flex pattern getting “significantly stiffer toward the tail” also brings about the question of how demanding vs. forgiving the MSP 99 feels. There’s nothing particularly unusual going on with the MSP 99’s shape or rocker profile. The MSP 99’s shape looks a bit like the Nordica Enforcer 100 — a touch of tip and tail taper, but nothing out of the ordinary for a modern, ~100mm all-mountain ski. The MSP 99’s rocker profile is also pretty average / standard for a ski in this category, though its tip and tail splay are a bit lower than what we’d normally expect out of a 99mm-wide ski from 4FRNT. In other words, we don’t expect any of the MSP 99’s noteworthy performance characteristics to stem from its rocker profile or shape. The 181 cm MSP 99’s flex pattern reminds us a lot of the 185 cm Nordica Enforcer 100 (a ski that we very much like), though the MSP 99 is a touch stiffer than the Enforcer 100 in the shovels and behind the heel piece. But the Enforcer 100 exhibits more snap / rebound in its shovels compared to the MSP 99. One of our favorite aspects of the Enforcer 100 is its blend of stability and forgiveness, so given their similar flex patterns, this is definitely something we’re curious about with the MSP 99. For reference, below are a few of our measured weights (per ski in grams) for a few notable skis. As always, keep in mind the length differences to keep things apples-to-apples. So the MSP 99 is around 100-200 grams lighter than some of the other dual-metal-laminate skis like the Blizzard Bonafide and Enforcer 100. But the MSP 99 still isn’t some superlight 50/50 ski, and that makes a whole lot of sense since 4FRNT says it’s actually supposed to feel damp and smooth in variable snow. 4FRNT says the MSP 99 is a modern version of one of their original shapes. And based on its specs, we think that’s pretty accurate — this ski looks like a lot of our favorite all-mountain skis. Blister members can check out our Flash Review for our initial on-snow impressions, but while we compile our full review, feel free to add any questions or things you’d like us to address in the comment section below. Blister members can now read our initial on-snow impressions in our Flash Review of the MSP 99. Last year 4FRNT announced the re-release of one of their first ski models, the MSP. The resulting MSP 99 is a directional, metal-laminate ski that slots into a very competitive category of ~100mm all-mountain skis. Plus, this year they also added the wider MSP 107, which we’ll soon be weighing in on. But for now, I’m going to talk about the MSP 99, and why we think it is a compelling option in this category. 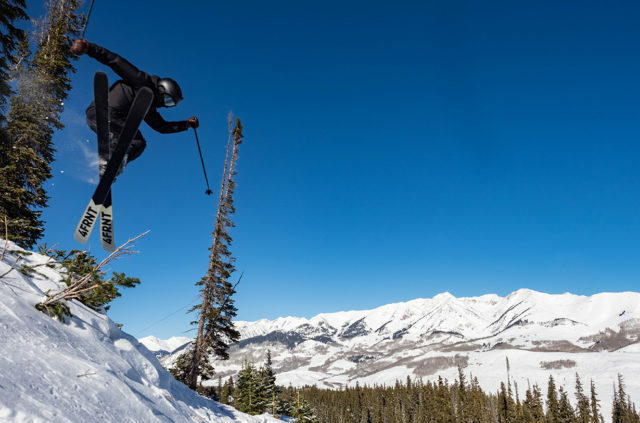 Luke Koppa on the 4FRNT MSP 99, Crested Butte Mountain Resort, CO. The MSP 99 is all three of those things on groomers. I could instantly get on the ski and start carving turns — whether they were big or small, hard-carved turns on edge, or more casual pivoted / scrubbed turns when I wanted to relax. The MSP 99 is far from the most energetic ski when carving, but I think a lot of people will prefer its fairly damp feel and predictable nature over some slightly more poppy, but potentially more demanding ski. In terms of stability at high speeds, the MSP 99 is pretty close to some of the other ~2100-gram all-mountain skis in this class. The MSP 99 isn’t the most stable ski in the group, but it feels pretty confidence inspiring until you get it up to really high speeds and / or in really rough snow. So if you don’t tend to ski very fast and straight, I doubt you’ll find the speed limit on the MSP 99. When it comes to edge hold on really firm snow, the MSP 99 is decent, and you can drive its shovels to help dig in its edges. However, like most ~100 mm skis, the MSP 99 would not be our first choice for really icy days. In bumps, the main thing that stood out to me with the MSP 99 was how it was both very forgiving and still pretty strong. 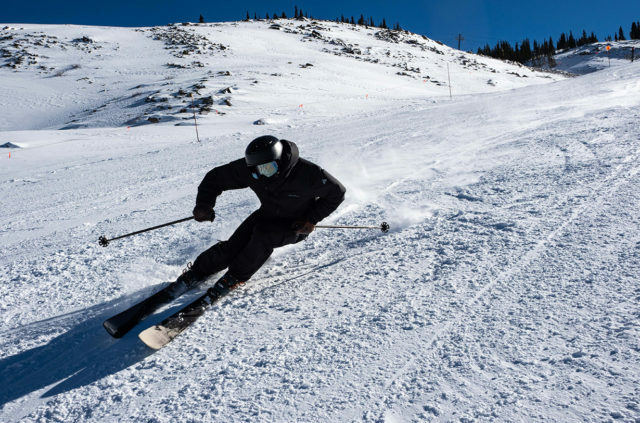 Its tips and tails aren’t all that stiff, but the middle of the ski is quite supportive. As a result, I could drive the MSP 99 and push it when I wanted, but its tail wouldn’t punish my mistakes. Plus, another key characteristic of the MSP 99 is how surprisingly easy it is to slide around. I was able to bang out pretty quick, short turns through bump lines on the MSP 99 and the ski felt light and maneuverable. And yet, it also held an edge pretty well on firm groomers, and is still fairly damp. Those are not often things you get with a ski that’s also quite easy to turn in bumps. I think the MSP 99 would be a great ski for someone who skis the whole mountain and wants to improve their technique in bumps. It’s easy enough for beginners, but it’s strong enough for very good skiers. Similar to roughed-up groomers, the MSP 99 does pretty well in firm off-piste snow. It’s not the most damp ski out there and it won’t smooth out really nasty, hard snow, but I could still ski pretty fast pretty comfortably on the MSP 99 in rough snow. Again, the characteristic that stood out was the predictability of the MSP 99. I couldn’t mob down the snow like I could on a 2500-gram charger, but I could ski pretty fast and trust that the ski would go where I wanted it to. And now that skis across the board seem to be getting lighter and lighter (and often, lighter and stiffer), the MSP 99 feels notably more damp and stable and less punishing than many of the options in its class. I’ve used the MSP 99 in a few inches of wind-deposited pow and soft chop, and it handled it quite well. It has enough tip rocker to not get bogged down in <6” of snow, its shovels are soft enough to help absorb hard impacts, and yet it’s stiff enough to blast through soft patches. As a 1-ski quiver for areas that don’t see a lot of 12”+ storms, I think the MSP 99 is a solid option. For bigger storms I’d want a wider ski (like, maybe, the MSP 107?). But for everything shallower, the MSP 99 does just fine. This section is often very particular and specific. 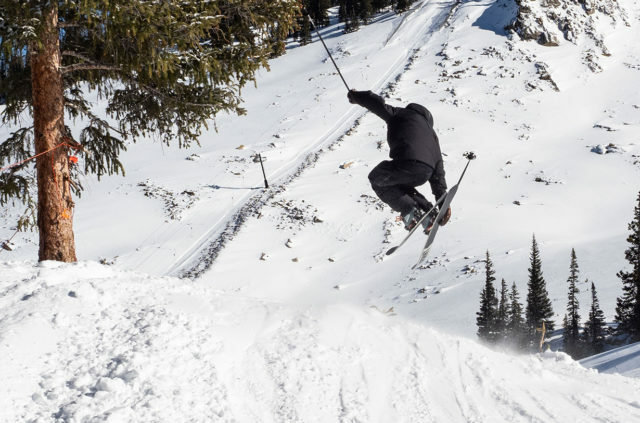 Certain skis really only seem best for specific types of skiers. But with the MSP 99, I think the group of people that would enjoy it is extremely large. I’d be fine putting a beginner on the MSP 99 — the ski is quite forgiving, easy to slide around, and not too heavy. All good things for someone who’s learning how to ski. But I’d also recommend the MSP 99 to advanced or even expert skiers who appreciate a fairly damp feel, but who also want something that’s not very heavy and that won’t punish them after the occasional mistake. The MSP 99 is not the best option for those who want best-in-class stability, but the MSP 99 is more forgiving and easier to turn (especially at slower speeds) than a lot of the more stable ~100mm all-mountain skis. And on top of the broad range of skier-experience levels, the MSP 99 also works well in a pretty broad range of conditions. So I think it’s a very good 1-ski quiver option, or as the narrower ski in a 2-ski quiver where you’ve got a wider ski for deep days. 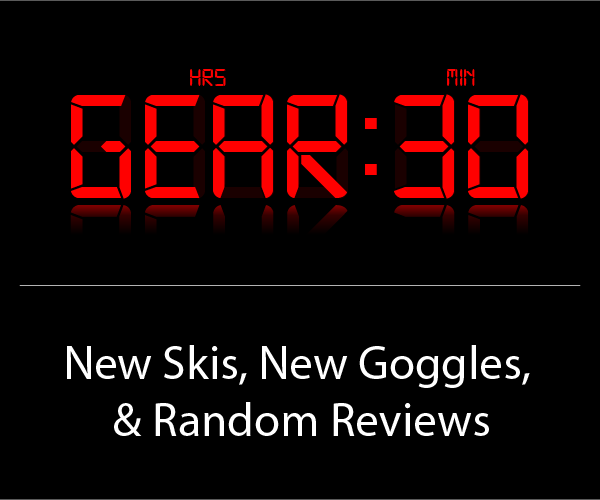 The 4FRNT MSP 99 is an intuitive, predictable, and versatile ski. It performs well across a wide range of conditions, and it also offers a very good blend of stability and forgiveness. 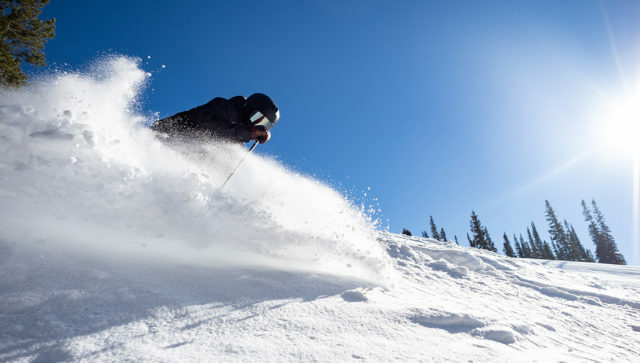 We think a wide range of skiers will like it, and it should be particularly appealing to those who find heavier, stiffer all-mountain skis to be a bit too demanding. 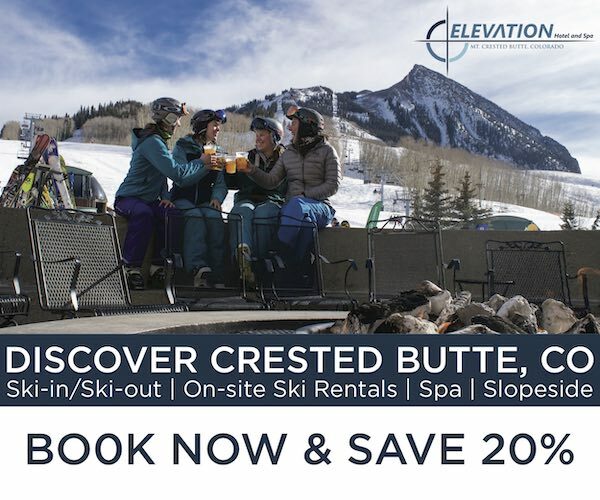 Become a Blister Member or Deep Dive subscriber to check out our Deep Dive of the MSP 99 to see how it stacks up against the Nordica Enforcer 100, Blizzard Bonafide & Rustler 9, Volkl Mantra M5, Fischer Ranger 102 FR, J Skis Masterblaster, Liberty Origin 96, ON3P Wrenegade 96, and K2 Pinnacle 95 Ti. In two words Is it looks playful or just one more Mantra-Bonafide heavy ski? And does it have some ability in powder or it’s completely other story? Not very enthusiastic about the 4frnt MSP (99 & 107) in the guide. Rather weird because the first returns are excellent, especially on the MSP 107. I’ll choose a ski based on performance over looks every time, but they are rocking the graphics lately. I want to buy these to hang on the wall and stare at sitting on the lift. Did anything change on the 4frnt MSP99 between last year and this year aside from the top sheet? According to 4FRNT, the 18/19 and 17/18 MSP 99 are the same, apart from graphics. Based on my two runs last year, I think you got the MSP right. It’s a contender for best one-ski-quiver. I just ordered a pair, ridiculous $549 including Aatack 13 bindings these replace my worn out but still cherry Bonafide. Great price! Care to share where you got such a good deal? Can you guys provide any further detail/clarification between: Enforcer 100, JSkis Masterblaster and MSP 99? Seems like any of these would be a great ski, but which would you recommend for a heavier, intermediate skier of the 100mm waist options. Seems like the MSP 99 might be the easiest, but the Enforcer 100 seems to be the benchmark?